The exercise was viewed with anxiety by the minority community but it is now a source of bewilderment as NRC list leaves families divided into citizen and not. 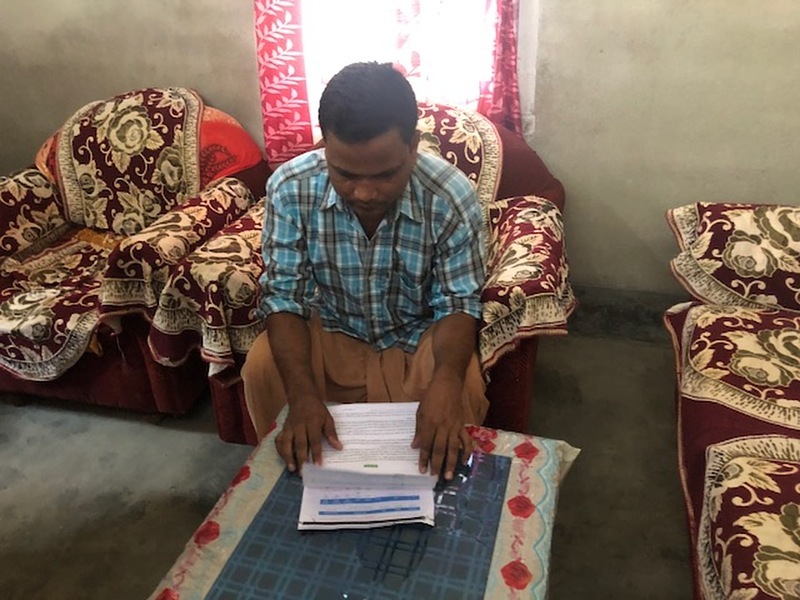 Nalbari/Barpeta/Morigaon/Nagaon, Assam: In the middle of a warm, sultry afternoon, 42-year old Abdul Hai of Chenga Musalmanpara village in Barpeta district visits the local NRC centre to understand why the names of some of his family members did not appear in the 30 July draft list, even as those of the others did. “My name has appeared on the list, even though it has been wrongly spelt. Names of my three daughters have also appeared. But oddly, my wife’s name has not,” says Hai. Hai, however, adds there is “no fear”. “We are, after all, Assamese people,” he says. Azizur Rehman of Sanekuchi village in Nalbari has a similar concern. The names of all his family members have found mention, except that of his two daughters who are married. “How is it possible that the parents are Assamese but the children are not? There definitely has been some confusion,” he says. 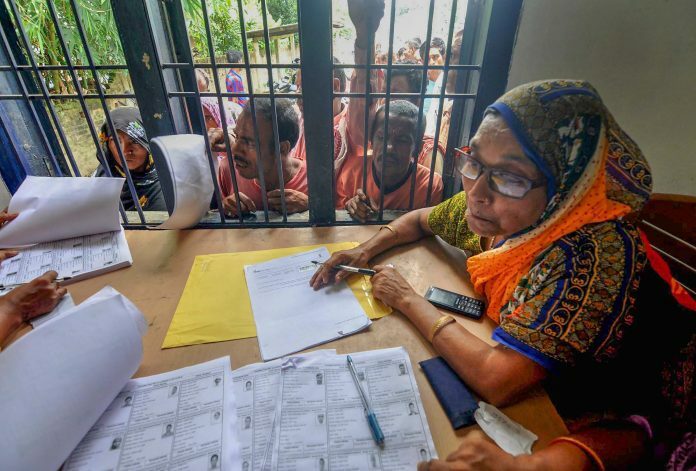 When the process of updating the National Register of Citizens (NRC) in Assam began, it had led to a degree of anxiety, even fear, among the minority community in the state. This, more so, because the BJP has been pushing for the Citizenship (Amendment) Bill that gives citizenship to Hindu immigrants, but not Muslim, making certain sections fear the party is trying to single out minorities. However, ever since the final NRC draft was released Monday, this anxiety has given way to confusion and bewilderment among the minorities. The draft left out around 40 lakh of the 3.29 crore applicants, approximately 12 per cent. In most cases, names of some family members have appeared while that of others haven’t. There are few families that do not find their mention in the list in entirety. The NRC, first published after the 1951 Census, is now being updated keeping 24 March, 1971, as the cut-off to identify those who immigrated to Assam illegally from Bangladesh after that date. Applicants have to submit documents to prove that their names appeared in the NRC of 1951, or in any of the electoral rolls of Assam till 1971, or in any of 12 other documents, which had to have been issued before 1971. Effectively, the purpose of the process is to determine who in Assam are genuine Indian citizens and who are illegal immigrants. This exercise is being monitored by the Supreme Court and began in September 2015 under the then Congress government in the state, and was taken forward by the BJP government after it came to power in 2016. “Of the 16 members in my family, names of everyone have appeared except my mother’s. NRC officials have said give us fresh documents after 7 August. We will be told why certain names have been left out. But whatever be the reason, it is basic logic that if all children have been categorised as Assamese, the mother will be too,” says Ebrahim Saikia of Ghoga village in Nalbari. Gozen Bharali of 2.No.Murakata village in Morigaon is as confused. “Out of our eight family members, only my granddaughter’s name is in the list,” he says. Masked or genuine, most appear confident that the names of those left out in their families will appear, claiming they are not scared at all. “What is there to be scared? If even one name has appeared, so will that of the rest of the family. We just need to give the documents again,” says J. Islam of Raha in Nagaon district. Officials, however, explain the discrepancies are due to faulty documents or other technical issues. “We had 4,172 applicants of which names of 99 per cent have appeared. We have explained the reasons to people — sometimes the documents are weak, ineligible or other such reasons. They know they now have time to file claims and objections. They were a bit scared earlier. 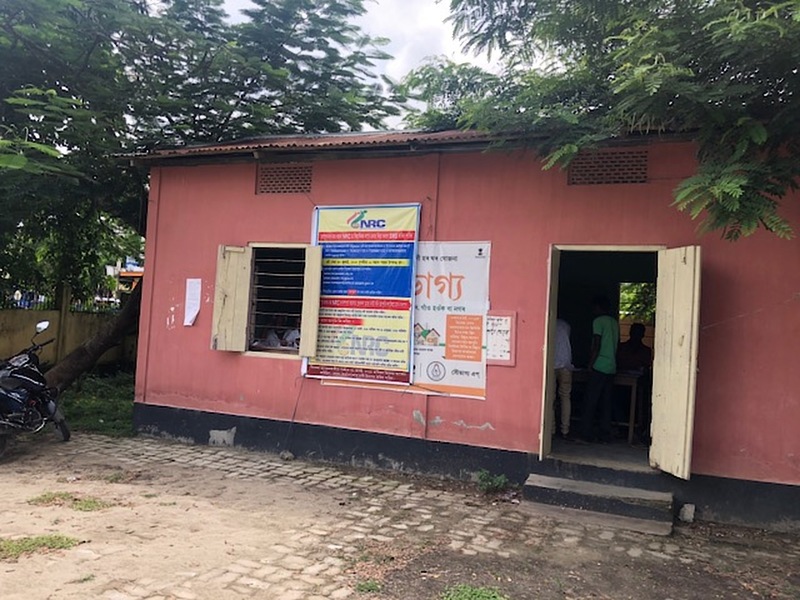 But now that names of most have appeared, they understand the process is fair and nobody will be unfairly targeted,” says Kuldeep Choudhury, NRC official, Loharkata Adabari village, Nalbari. Choudhury and other officials sit with heaps of documents, as villagers troop in to check whether their names find mention. Security forces, meanwhile, remain stationed at all NRC centres to handle any potential untoward situation. As a queue of people waits outside his office for their turn to meet him, S. Deori, NRC official in Narayanpur village explains how pamphlets are being distributed with details of the process and ‘what next’ to quell any panic. Interestingly, within families, it is the names of several married women that have been left out, more than that of men or unmarried women. Officials explain this is mainly because women who change their last names after marriage have submitted some legacy documents with their maiden names and some with their marital names, causing confusion. The social schism in Assam has traditionally been between the ‘outsider’ and indigenous Assamese. The NRC updation exercise seems to have widened this divide further — within the minority community. “Look, it is very clear. All our names have to eventually appear. We are, after all, as Assamese as anybody else. Our generations have lived here. It is the Bengali Muslims that should be scared. Not us Assamese Muslims,” says 65-year old Saifuddin Ahmed of Ghoga village. “The Bengali Muslims are worried. They know they are not from Assam. We, the Assamese Muslims, have nothing to fear,” says Haji Ahmed of Morigaon town. 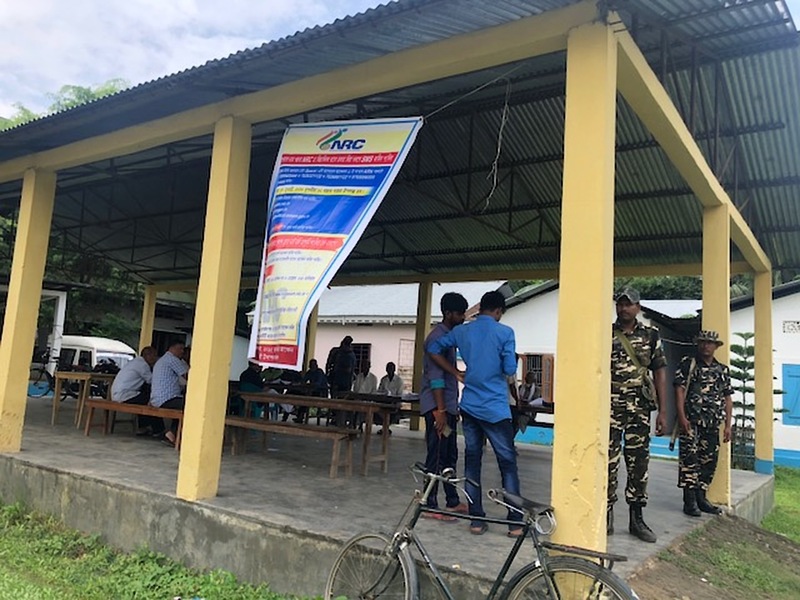 Not wanting to seem on the defensive or uncomfortable with the exercise, Muslims in Assam say they support the exercise since it helps identify “bidexis (foreigners)”. “NRC is a good step. For years, elections have been fought on the illegal immigrant issue. The Assamese Muslim has also suffered because of such politics, being viewed with suspicion. But now once the bidexis are identified, it will only help us. We have no objection to the Bangladeshis being sent back,” says Zamir Hussain in Nagaon town. Hai has a similar take. “This is like a certificate of citizenship. This settles the question once and for all. Let the illegal immigrants be identified and sent back. Why should we worry about that?” Hai says. The government has repeatedly reiterated that Monday’s list is merely a draft and the process of claims and objections will ensure everyone gets an adequate hearing before the final list is drawn up. Even after the final list, those left out can reach out to the Foreigners Tribunal or go to court. However, there is no clarity on what would happen to those who are eventually identified as non-citizens. Is deportation possible? Will they be denied voting and some other rights and allowed to stay here? Will they be declared ‘stateless’ people? The answers to all these questions remain in the realm of speculation. What, however, compounds the problem is that within families, some names are being left out while others aren’t. If in certain cases this happens even after the final list, any action will be difficult, given the impracticality of branding one or more members of the family as ‘illegal immigrants’ while declaring the others as genuine Indian citizens. This conundrum has only added to the confusion. “In our village, 96 percent have found their names. I am sure after claims and objections, only around 1 per cent will be left out. But even for that 1 per cent, if their other family members are in the list, you can’t leave them out. We actually don’t know how to deal with the situation,” says an NRC official in Nagaon who did not wish to be identified.